Rome was not built in a day or night. It is true. Have you seen this type of proverb earlier? Hope you have heard this proverb only that it takes time to build something, be it architectures or other things. This is true for all purposes and no matter if it is a training center. Likewise you cannot be a master piece just in a day or two. 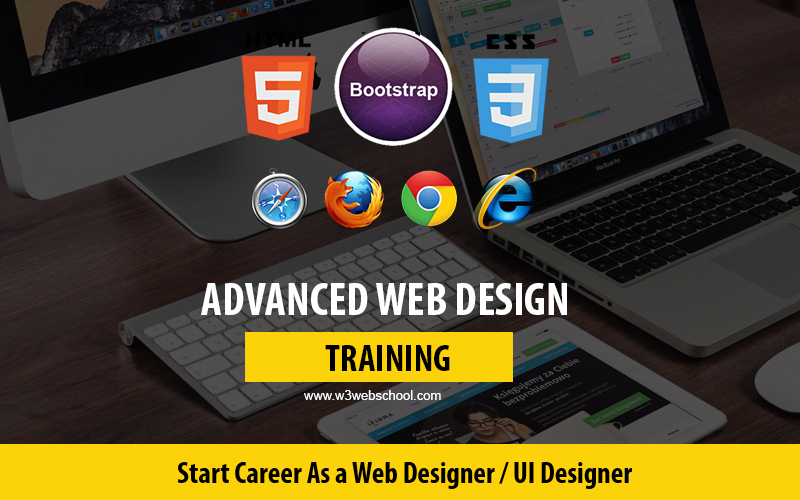 If you want to learn web designing from a trusted web design training in Kolkata you need to know which institute is good and providing best of the best course that helps build your career and make assure you get the proper training in design. If this is reasoning the behind of your intention to take up a web design course and that comes down to the specific need of minimizing the job outsourcing in an organization then it is just a plain wish to deliver what you want to know and the plan you take or do a lay out to choose a training course. There are two types of web design course available in the city, one is online course and another is offline course. According to your time you need to layout as per your budget which way of training you need. Though, you can lay out some money if you take online web design course. Some initial things you should need to follow, before you choose a web design training in Kolkata, because these things will help you understand whether you need this training institute or this training institute is appropriate for you. Find Your Level of Training – If you are an advanced learner or have already been completed your basic and pre advanced level of training then you need to find your level of training. If you take a basic training again, it is of no worth for you, so find a training center which provides advanced web design training in Kolkata. Set Your Own Training Objective and Reason – Think whether you are about to take the training only for learning web design or you want to work as a professional web designer. This thing you should clarify positively. Because you choose a web design training that is good for you and you do not want to pursue for a career in web design. Find Your Information Online for Better Institute – You might know when you search a web design training institute in Kolkata for your web design training, you type a keyword ‘web design’ and some institutes come at the first page of Google. When you decided at the top, do not forget all tops are not always tops, so better to visit them and talk to them about your requirement, before you dive into the final decision. The described three things will help you understand and find out the best web design training in Kolkata for your further career. Have a good luck!